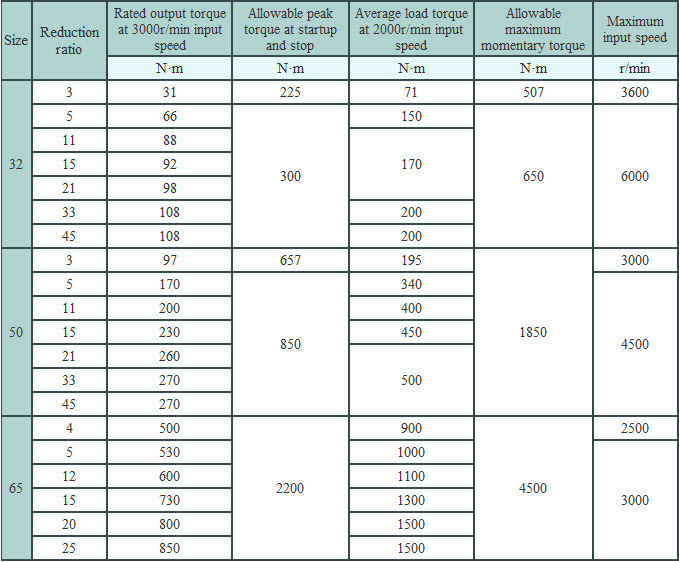 AccuDrive® is speed reducer credited with high levels of accuracy and rigidity. AccuDrive® is made from planetary gear that have been created by making the most of Harmonic Drive® Systems' precision manufacturing technology and expertise in the field of low- speed reduction. Equipped with a unique backlash removal mechanism, AccuDrive® has realized a high level of rotational accuracy. AccuDrive® has been put on the market as a high-powered gear head for servomotors, the perfect answer to the diversified needs of the industry. Following the high performance backlash-less AccuDrive®, which have been very well received, we have put on the market higher performance general purpose gear heads the AccuDrives a product of our pursuit of higher cost performance. The time-for-delivery is less than one week for standard products. The capacity of moment of main axis bearings has been substantially upgraded. The adoption of high-rigidity cross roller bearings for the main axes means that not only has the capacity of moment of main axis bearings been substantially improved, but gear surface deflection prevention accuracy has also been measurably enhanced at the same time. A very little backlash downward of 3arc-min has been made possible thanks to the application to the inner teeth of thin, elastic gear manufacturing technology which has been cultivated for Harmonic Drive®. 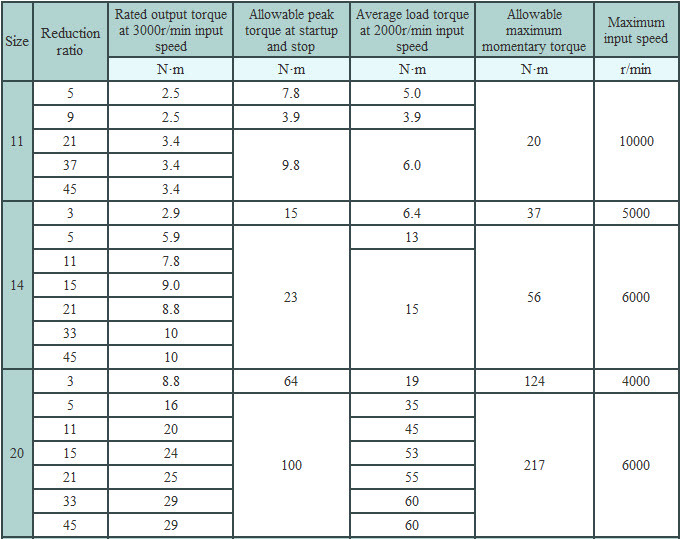 High torque capacity of 2 to 2.6 times is realized comparing conventional models. Downsizing from the conventional series is possible. (85% or more for Model No. 11 and 14). A high level of efficiency has been made a reality by the adoption of planetary gear of high theoretical efficiency. Equipped as standard with motor installation flanges and one-touch shaft couplings, the installation of commercially available motors has become even easier. Any desired motor can be installed with ease. Available in 3 different output specifications: flange output and shaft output(with key and without). Please ask Harmonic Drive Systems for the size of the output shaft. Note1: * D size and E size change with matching motors.